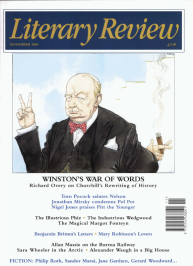 In 1950, reviewing the third of Winston Churchill’s six volumes on the Second World War, Michael Foot perceptively noted his ‘carefulness as an autobiographer’ and his ‘carelessness as an historian’. This is in essence the text of David Reynolds’s fascinating and equally perceptive account of how Churchill came to write what did amount to the story of ‘Churchill’s war’. Economical with the truth, eloquently silent on so many things, Churchill manufactured a legend which fifty years of subsequent scholarship has scarcely diminished.